What is the precision, accuracy, and reproducibility of an FTIR instrument? A seemingly relatively easy question with a not so relatively easy answer. Unfortunately, there is no straight-forward answer to this question, and the answers that there are can get complicated and confusing. Hopefully this application note will give some insight into signal/noise ratio, standard error, precision, accuracy, and reproducibility and will explain why there is no straight-forward, definitive answer to this question. The data and information presented are based on an IRGAS-EPI/Hx system* and a KIN-TEK moisture generator. Keeping these terms in mind will help to better understand how these concepts are all interrelated. Precision can not be discussed without discussing s/n ratios, s.e., and concentration. The reason for this is a result of the relationship each concept has with one another. Precision is a ratio between s.e. and concentration, and s.e. is a function of the s/n ratio and the absorption coefficient of individual species. With this being said, let’s start with a single beam spectrum. 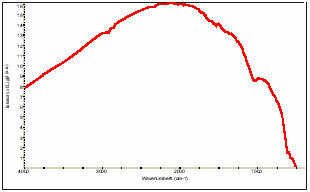 As can be seen in figure 1, the single beam spectra somewhat resembles a bell curve; this is the response of the detector throughout the IR spectrum. In a system the noise level will remain relatively constant; however, the s/n ratio will not. Therefore, the closer to the center of the bell curve the more the s/n increases. As the s/n level increases, the s.e. decreases; so when the s/n is at it’s maximum at the center of the curve the s.e. is at it’s minimum. The s.e. will also increase the higher the concentration of a species. This is because the absorption peak grows and as it grows there is less available light at that wavelength for the system to see. With less light the energy level decreases and so does the s/n ratio. Using figure 2, let’s discuss a little more the relationship between s.e. and concentration. 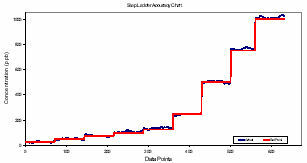 From the table in figure 2, it can be deduced that the data will plot as an exponential decay graph, and in fact it does as is seen in figure 3; however this may not always be the case. In general it can be said that the s.e. grows as the concentration increases, but it doesn’t grow as fast as the concentration. So generally speaking the precision of the instrument increases as the concentration increases. It can not be emphasized enough that these statements are generalizations and truly speaking the precision of an instrument changes along a concentration range based on a value of s.e. at each point of a concentration range. Now that precision has been explained, accuracy can be addressed. Accuracy is basically precision that correctly reads a true value over repeated measurements. Therefore, without precision there would be no accuracy. With that said, accuracy brings a new level of complexity to precision. The accuracy of a system does not just depend on the particular system, but it also depends on any auxiliary equipment being used with said system. For example, the data presented in this application note is based on an IRGAS-EPI/Hx, but it is also based on a KIN-TEK moisture generator. So the precision and accuracy of the system can only be as good as the lowest precision and accuracy, whether that be from the IRGAS system or the moisture generator. The expected accuracy of the KIN-TEK moisture generator is approximately +/- 3%. To test the accuracy of the IRGAS-EPI/Hx system, the KIN-TEK moisture generator was set at moisture concentrations (ppb) of 1000, 750, 500, 250, 125, 100, 75, 50, and 27. Figure 4 depicts the IRGAS’s system ability to accurately read the moisture generator’s set points. Please note that like precision, accuracy is case dependent and there is no one definitive accuracy level that can be applied to every instrument. Thus far, every concept that has been explained has focused on one instrument, but what about the reproducibility from one instrument to another? The reproducibility from one system to another depends on the quality of the system components. In the case of an IRGAS system, it will depend on the FTIR spectrometer used and the integrated gas cell. The IRGAS systems use an ABB FTIR spectrometer meant for production environments and a CIC Photonics stainless steel gas cell. 100% line repeatability is within 0.1% over the -1 4000 to 550 cm range for MIR models. These specifications will not only ensure that the collected spectra will have minimal variations from spectral record to spectral record, but from system to system as well. 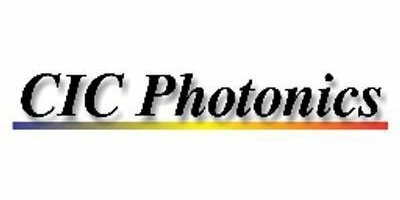 This, in addition to CIC Photonics gas cell, which have a minimum throughput acceptance of 36%-48% depending on pathlength, creates a quality system with high reproducibility. No comments were found for The precision, accuracy, and reproducibility of IRGASTM systems. Be the first to comment!